“we will disappoint those that says PDP will shock us because those saying that are our biggest enemies and that of the progressives” – Hon. Olabinjo. 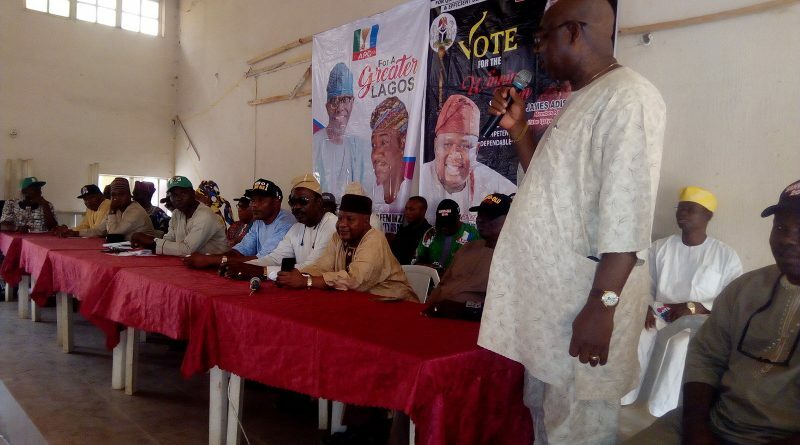 Ahead the 2019 elections, All Progressive Congress (APC) are not leaving any stone unturned in Lagos, and most especially Ifako-Ijaiye Local Government Area and Ojokoro Local Council Development Area as the party leaders innaugurated her Local Organizing Committee that will see to the success and of the party in February and March 2019 at the NRC Building of Ifako-Ijaiye area office. The APC Party Chairmen for Ifako-Ijaiye and Ojokoro LCDA enlightened members present on the roles and responsibilities of members and retrates that everyone must go all out for APC victory. 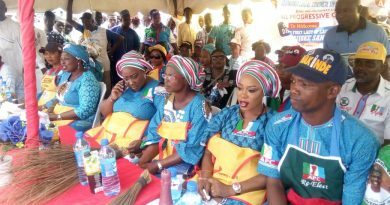 They made known that innaugurating the Local Organizing Committee (LOC) members responsibility is to ensure the party, All Progressive Congress (APC) come out victorious and further congratulated them all for being part of the team. The seating Lagos State House of Assembly member for Ifako-Ijaiye 01 constituency, Hon. Saka Fafunmi headed the affirmation process and swore-inn members for the task ahead. Speaking at the event, the special adviser to Lagos State Governor on Civic Engagement and the Lagos State Coordination for National Committee on Buhari Oshibajo Support Group, Hon. Benjamin Adeyemi Olabinjo (BAO) sent a strong signal to the People’s Democratic Party (PDP) members and other oppositions who had been saying all sought about the forthcoming election in Ifako-Ijaiye LGA to wake up from their dreams. “We will disappoint those that says PDP will shock us because those saying that are our biggest enemies and that of the progressives”, Hon. Olabinjo said. “I beg you all; please lets put our house together for us to be successful, it is normal for us to have our differences during party primaries but what matters in politics is understanding and when gladiators are already on same page then the supporters should be mindful of their involvements and actions”, he continued. “This is the time to listen to our people who are aggrieved as a result of the decisions already made by some quarters due to the results of the last primaries to make amendments for the party’s sake”, BAO concluded. The Executive Chairmen of Ifako-Ijaiye LGA and Ojokoro LCDA, Hon. Oloruntoba Oke and Hon. Hammed Idowu D. Tijani (HID) further seek for the cooperation of all members as the victory of the party is not negotiable. Present at the event were members of the councils legislative arms, Hon. Fadayomi, Mrs. Bola Are, Hon. Omisore, Hon. James Owolabi, Alhaji Amosu, Hon. Rasheed Makinde, Alhaji. Amosu, Hon. Fausat Olajoku, Alhaji Amje and host of important dignitaries of the party in Ifako-Ijaiye.